Stock Split: What Is A Stock Split? Stock Split Definition: What is a stock split? A stock split happens when a company divides its existing shares into multiple shares. When a company declares a stock split, its share price will decrease, but a shareholder’s total market value will remain the same. A stock split increases the number of shares in the publicly traded company. The price is adjusted such that the before and after market capitalization of the company remains the same. Say a company’s stock is trading at $100 a share. 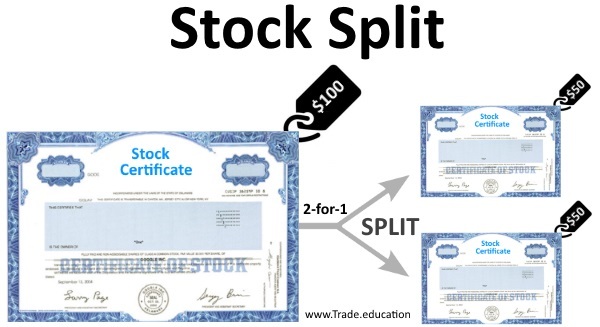 If the company declares a 2 for 1 stock split, it gives you two shares for each one you own. At the same time the price is dropped to $50 a share. If you owned 100 shares at $100 prior to the stock split, you now have 200 shares at $50 after the 2 for 1 stock split. Stock splits do not change the value of your investment, so the value of your stock investment remains the same at $10,000. Google, which trades under the ticker symbol GOOG, did a 2 for 1 stock split on April 3, 2014. Prior to the split Google was trading at $1,125 per share. After the split it brought the price to $562.50 per share and each shareholder received an extra share for each share they held. Stock splits have no effect on the market capitalization, so the market cap of Google remained the same before and after the stock split took place. For shareholders this means they now own more shares which trade at a lower price per share, but the value is still the same prior to the split. Why Companies Do Stock Splits? Most companies split their stock to keep the price attractive to investors, which means a lower priced stock on a per-share basis can attract a wider range of buyers. When the price of a stock increases significantly, you and other investors may be reluctant to buy, either because you think the price has reached its peak or because it costs so much. Corporations have the option of splitting the stock to lower the price, which they expect to stimulate trading. When a stock is split, there are more shares available, but the total market value is the same. Reverse Splits: What is a reverse stock split? Another version of a stock split is the reverse split. This procedure is typically done by companies with a low share price that would like to increase their share price. In a reverse split the company reduces its number of outstanding shares and the price of the stock is increased. 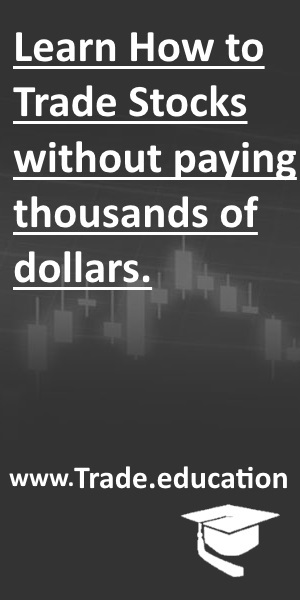 For example, if a stock is trading for $1, the company could do a reverse 2-for-1 split and exchange two old shares for one new share priced at $2. Another example, in a reverse 5-for-1 split, 5 million outstanding shares at $1 each would now become 1 million shares outstanding at $5 per share. In both cases, the company’s market will remain the same. Why would a company do a reverse split? In most cases, the stock’s price has fallen a lot and the company wants to make its shares look more valuable. A higher share price makes the stock more attractive to institutional investors, including mutual funds and pension funds, which may not buy very low-priced stocks due to the requirements of the fund. The reverse split may also be needed to raise the stock’s price to the minimum price needed for listing on an exchange to prevent the company from being delisted (many stock exchanges will delist stocks if they fall below a certain price per share). Reverse splits are generally a bad sign and investors should be cautious about buying a stock after a reverse split.